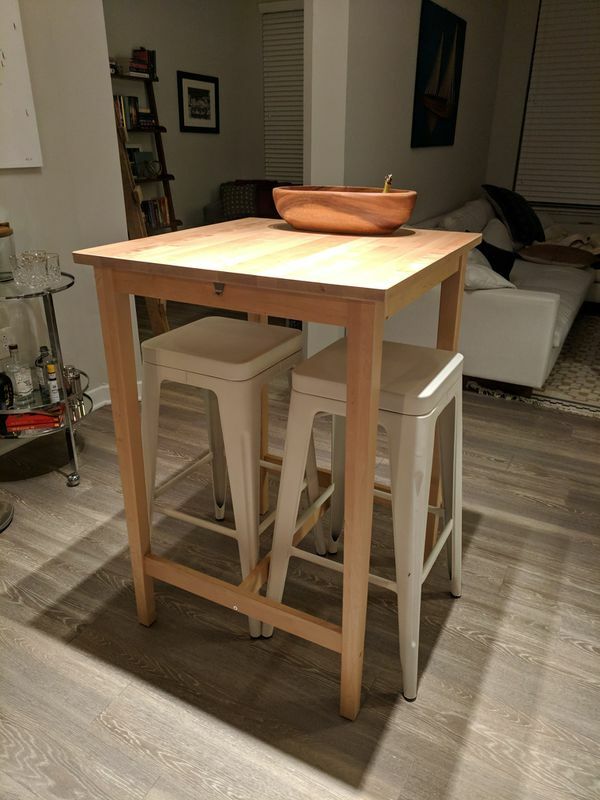 Selling hi top table and two aluminum frame metal stools. 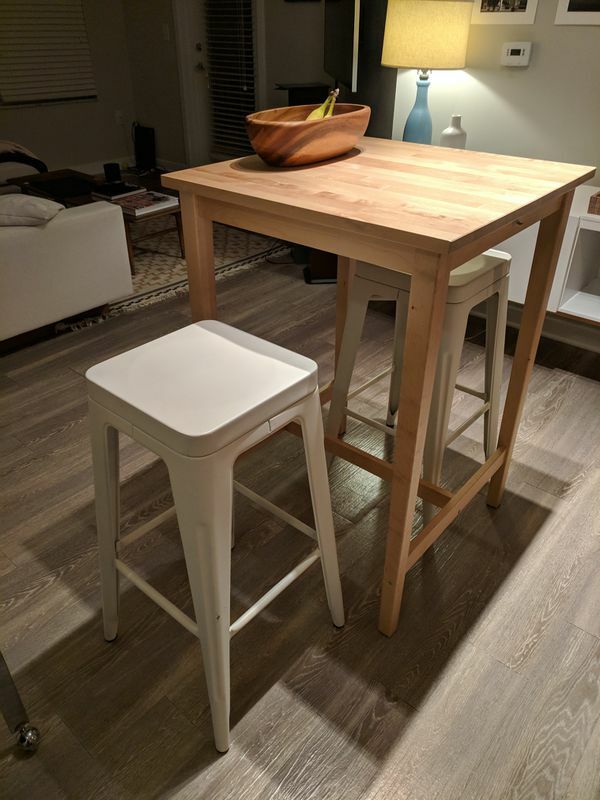 Table is super versatile - has been used as our kitchen table, workspace, and "island" / entertainment surface for drinks/food when people come over. 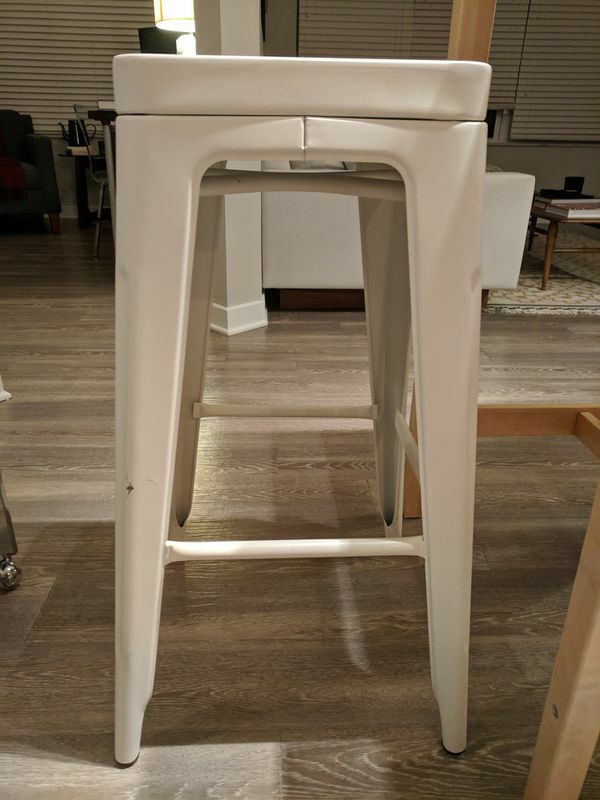 Stools have a white finish. Everything in great condition - some minor nicks in stool legs from normal use.